Producers work on projects that vary in size and scope. Great Films are made with great crews, equipment and tools to make great films, and one of my all time favourites is Goodfellas, a classic Hollywood film directed by and using a screenplay written by Martin Scorsese. For many years I’ve been using Final Draft and Entertainment Partners software, which I rely on constantly and emphatically. Only recently, when discussing a project with an Indian producer was my attention drawn to Celtx, which comes with a whole lot of interesting stuff these days, including their celtxblog. It’s an interesting read with valuable insights, such as the article INTRODUCING INSIGHTS: 7 FAMOUS SCREENPLAYS BY THE NUMBERS written by Stephen Stanford. Presently, I’m working on a number of feature film projects of varying size and scope, and the team members are spread across the globe. Assessment and due diligence takes time; there’s an old saying that goes something like “what you don’t do properly in development, you have to pay for during pre-production, and what you don’t do properly in pre-production, you have to pay for in production, and what you don’t do properly in production, you have to pay for in post-production.” and everything costs time + money. 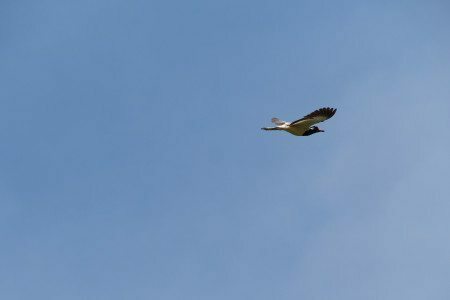 Planning is vitally important, and it is with respect that this wonderfully written blog article by Stephen Stanford is reproduced in this blog. No matter what kind of content you’re producing, there are cinematic hallmarks that everybody wants to see. Our new Production Primer series will cover the fundamentals of these techniques and show you what your team needs to consider when writing, planning, and shooting them. The tracking shot or “oner” is perhaps the most iconic and captivating of all cinematic techniques. Generally speaking, it refers graceful, uninterrupted single-take shots where the camera follows the subject throughout either an extended portion or the entirety of a scene. Tracking shots are a showcase opportunity for the entire production team to demonstrate their technical expertise, but come with a price: they require extensive planning and rehearsal to execute properly. If all goes according to plan, however, the effect is mesmerizing (and you’ve successfully added a cinematic flourish to your project that captures the imagination and sticks to the memory). 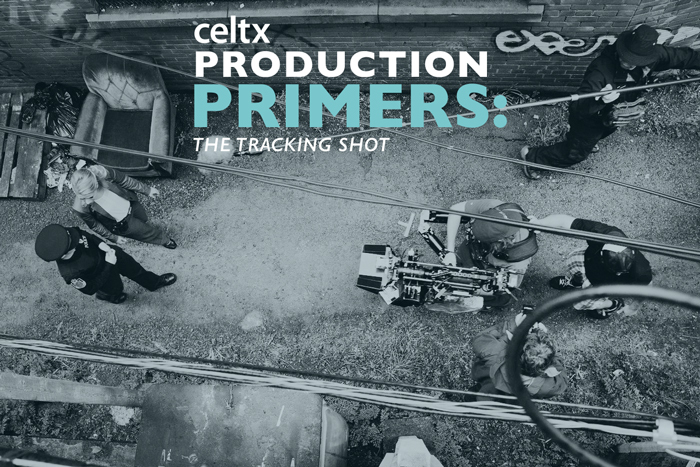 If you’re thinking about attempting a tracking shot in your next project, here are a few things to consider for each phase of production. One of the most celebrated tracking shots of all time is the famous Copacabana Sequence from Martin Scorsese’s Goodfellas. The dazzling, impeccably staged journey of Henry Hill and his date from across the street, down the stairs, winding through the service corridors and kitchen, and finally out onto the floor of the iconic nightclub became an instant classic of American cinema. Every cue is fits together so flawlessly that it’s easy for one to assume that the some serious technical rigor was applied during the writing process. Surprisingly, this doesn’t appear to be the case. 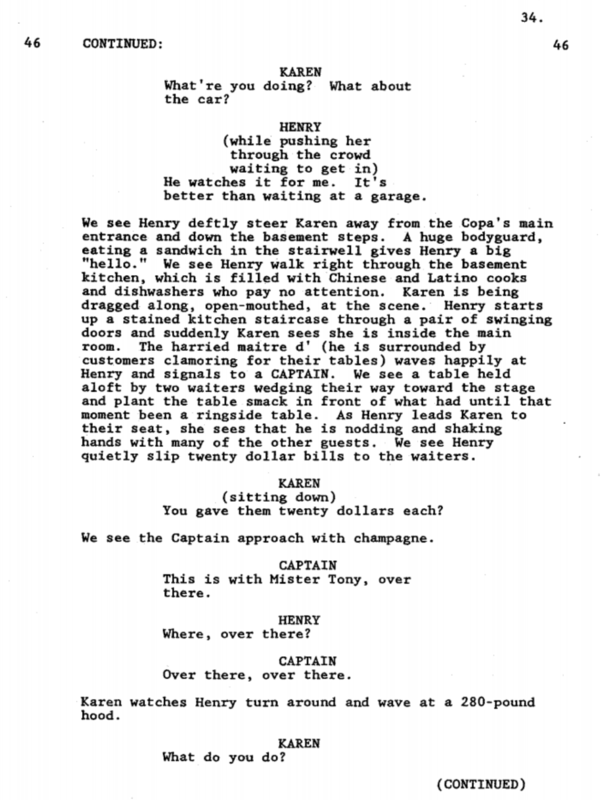 Here’s how the Copacabana Sequence appeared on the page in a revised draft of Nicholas Pileggi & Martin Scorsese’s 1989 script. Compare it to the end result. As you can see, on paper this sequence is written like an unformatted montage. Virtually all of the asides and interactions that Henry has during his entrance are conspicuously absent, as are any specific shots or camera directions. According to Director of Photography Michael Ballhaus, Scorsese had fleshed out the entire sequence in his head, and the entire thing was blocked, rehearsed, and shot in less than a day. Unfortunately, most of us aren’t Martin Scorsese. The more preparation and thought you put into the writing of the big scene, the greater footing your director and camera department will have when your team arrives at the planning phase. The Copacabana excerpt is a great example of how you should start: the telegraphic action suggests uninterrupted movement and the physical geography of the scene is explicated without being too specific. Moreover, the truncated and condensed formatting prevents the sequence from disrupting the flow of the script. If it were written exactly as it was shot, the sequence would have taken up multiple pages as opposed to roughly one half. In Celtx, however, there’s a novel solution that allows you to have it both ways. A stabilization system is essential to executing a tracking shot. There are two standard options: a dolly, or a steadicam. A dolly is a heavy, wheeled multi-operator camera platform designed to move along the horizontal axis, either on tracks or on an appropriately smooth surface. A steadicam utilizes a mechanical system of gimbals and counterweights to allow a single operator to smoothly move and manipulate a camera with considerable deftness and speed. Where a dolly offers extremely stable and precise shots, steadicams allow for much greater mobility and a dreamy ‘floating’ effect. Both systems are fairly expensive and require skilled operators, although various ‘lighter’ or DIY solutions do exist. When choosing your stabilization system, two factors are key: the location in which you’ll be shooting, and the kind of action you need the camera to capture. For example, in the Copacabana sequence, the camera was required to closely follow the subjects up and down stairs, down narrow hallways, around sharp corners, and through crowds of background actors with several sidesteps and sudden stops. In this case, the steadicam was the ideal solution. Rehearse, rehearse, rehearse. Have your director move through your existing shot plan with your actors and let them get a feel for the space. Talk to them, and be open to improvisation. Long tracking sequences are akin to live theater, and its very easy for them to be overcome by a sense of staginess. Giving your actors a chance to explore, ad lib, and make mistakes can provide additional material that will imbue your sequence with a greater sense of reality. You might also consider doing this initial blocking pass in reverse, starting at your last action point and working backwards. 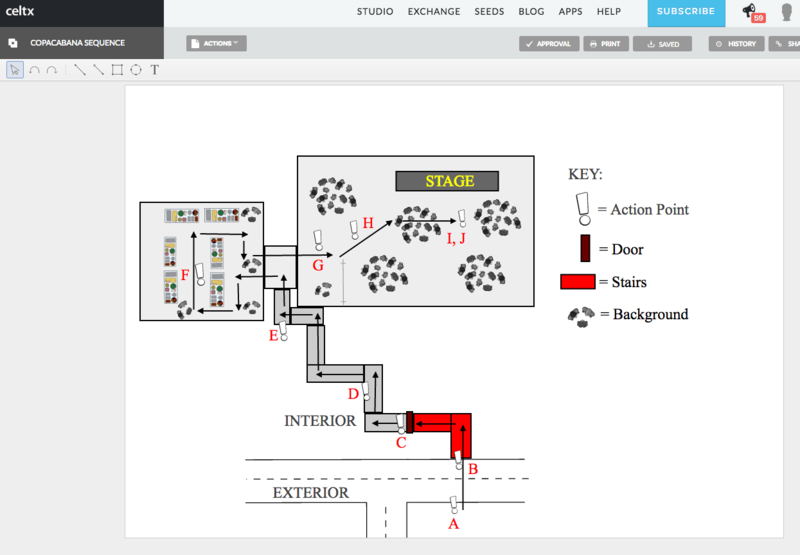 Ensuring that your actors know exactly where they need to end up is crucial to getting the perfect take, and starting your rehearsal from the final blocking position makes it easier for your actors to judge both distance and timings throughout the rest of the sequence: the finishing point is far more important than the starting point. Your next rehearsal run should include any background actors, as well as dry runs for any background action that may be scripted to occur. It’d be best to include your camera team on this run as well – safety is paramount, and any background action with the potential to affect the camera needs to be heavily drilled. Depending on the length of your shot (and if your schedule can accommodate it), you might want to consider blocking an entire day for setup and rehearsals. Either way, something is bound to deviate from your plan. Multiple takes are a given (it almost never goes right on the first try), but remember to be conscientious of the physical limitations of your cast and crew. If you push them too hard, you might start to undo the progress you’ve made in rehearsal. In conclusion, be deliberate in your writing, thoughtful and thorough in your planning, and ready to drill when the shoot day arrives. To take advantage of the tools described in this primer, head over to Celtx and set up your team with a free trial. You’ll find that it makes keeping everyone informed and engaged during both the pre-production process and on set that much easier. Celtx offers a number of choices with a variety of tools in their multi-level online platform. It’s exciting to experience the dynamic change that enterprise software is bringing to businesses to improve efficiency and increase productivity. Well, here’s a big shoutout with applause to a company that is bringing a fresh approach to filmmaking, providing more variety and productivity. 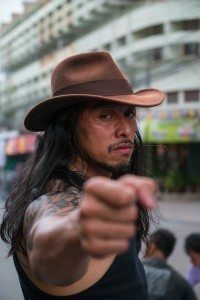 #‎Thailand‬’s government has approved a ‪#‎Film‬ ‪#‎Production‬ ‪#‎rebate‬ for international ‪#‎productions‬ that spend at least $1.5m in the Kingdom. 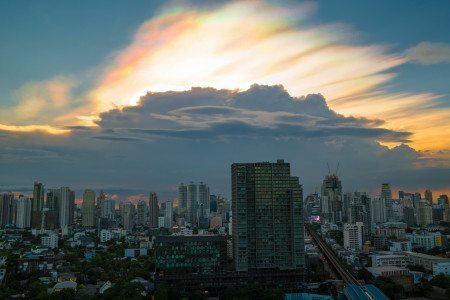 Thailand has finally secured government approval for production incentives in the form of a 15-20% cash rebate on qualifying local spend. Expected to kick in from January 2017, the incentive offers a 15% rebate on international productions that spend at least $1.5m in the country, with a yet-to-be determined upper limit to prevent a single big-budget production from emptying the pot. 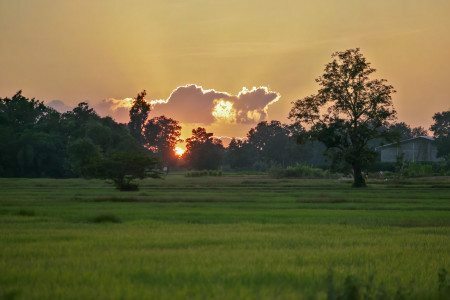 An additional 3% is available for films that use key Thai cast or crew when shooting in the country and a further 2% for films that have particular value in promoting Thailand. Discussions for Thailand to introduce a film production incentive have been heard for over two decades and local film industry professionals see this as a great positive for the film industry in Thailand and ASEAN as a whole. 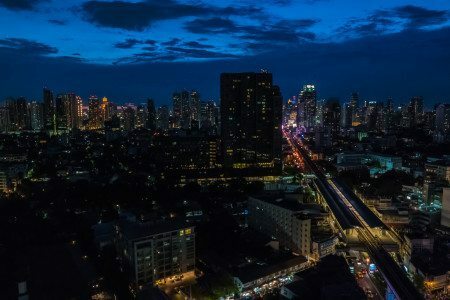 With the more business opportunities and activities focused on trading partnership across the AEC, Thailand’s production hub status will be further strengthened by the implementation of this vital entertainment industry support at a time when Asian appetites for entrepreneurship, fintech, startup technology and OTT are heating up. 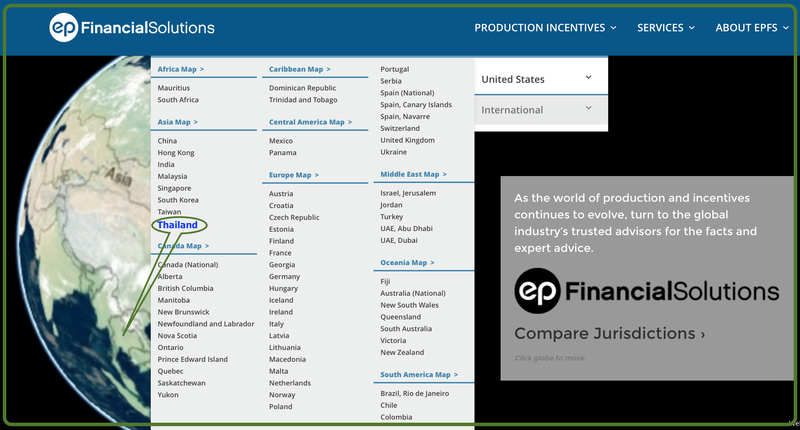 When one compares jurisdictions the Thailand film production industry incentives set to take effect in 2017 will weigh in heavily on other countries offering similar production incentives to attract filmmakers, not only in ASEAN, but also throughout the world. This is largely because the costs of production are significantly lower in Thailand than other countries and with rebates being offered in the range of 15%-20% being available, Thailand will rank high on the list of destinations for producers. The development of movie production incentives stems from the perceived economic benefits of filmmaking and television production in the US. In 2010 revenues from television production in the US were estimated at $30.8 billion while revenues from movie and video production in the US were estimated at $29.7 billion in the same year. As the TV and film industries around the world grew through the 1990s, so did concern over runaway productions, TV shows and films that are intended for a US audience but are filmed in other countries in order to reduce production costs. The issue of runaway productions gained further traction after Canada adopted a movie production incentive program in 1997. In the 21st century Asia has emerged as a leading growth area for film financing with Asia, China and India increasingly being used by Hollywood producers and major studios as a necessary part of their global strategies. Evidence suggests that the trends of US and EU companies pursuing strategic partnerships in Asia is increasing in 2016. Such trends are not exclusive to strategic decisions being made by corporations in the entertainment, media, and Hollywood talent agencies. A renewed focus on private equity and Family Office funding coupled with recent increased volatility in financial markets has spurred a swathe of mergers and acquisitions activity across the divide between East and West. Innovations in technology and rapid growth in the utilisation of enterprise software to enhance business efficiency are coupled to growing mobile penetration prevalent across ASEAN. With large populations utilising high-speed data services and ever-increasing access to mobile communications, the proliferation of marketing and advertising censorship controls under scrutiny, Governments and populations wishing to monitor and filter content delivered over the Internet are all key indicators to watch. India’s super angel investors are predominantly focused on the media technology and innovation spaces and are keenly interested in developing strategic partnerships with growth stories that focus on expansion in Asia. 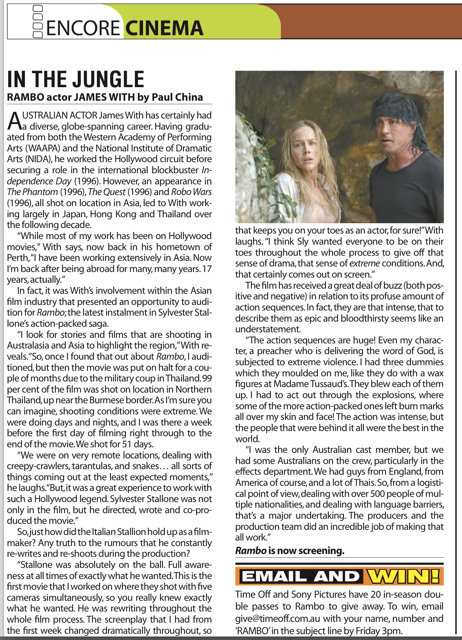 For more information on filming in Thailand information is available from the Thailand Film Office. There’s no need to rely on scarce and periodic Government grants and/or applying and waiting an indeterminate time for State film commissions to assess and possibly if you’re in luck approving your project in order to funds these days. The opportunities and scope for securing money, services and marketing resources are immense. Film and Entertainment Financing has a huge new arena to tap into; crowdfunding is exploding and now that the SEC in the United States of America has passed regulations for equity crowdfunding the playing field just got a whole lot wider. 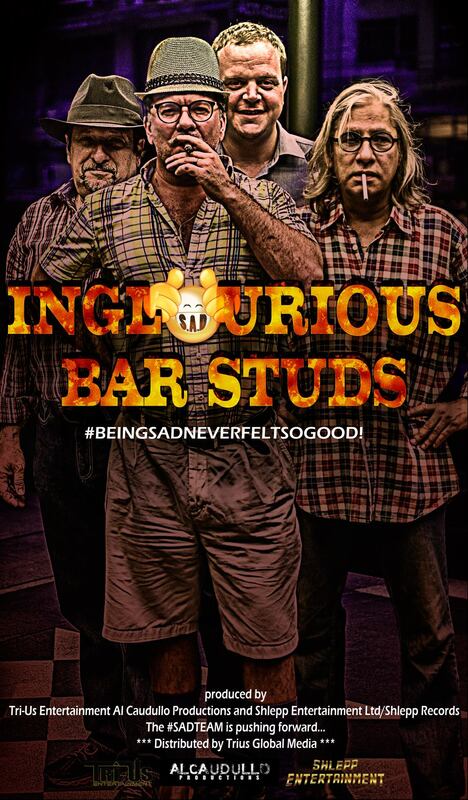 “Inglourious Bar Studs” (http://www.sittinganddrinking.com) is the first film project that I am financing partially from crowdfunding and it’s been a great learning experience. There’s a lot to know and the alternative finance sphere is not a spectre to be shunned. I have created an online paper called The INglourious News Daily that provides everyone with a wide selection of relevant source materials and articles to widen your horizons. You can get a variety of cutting edge insights and stay up to date on the emerging and evolving funding sources available today. Alternative finance encompasses innovative financial instruments and distributive channels that have emerged outside of the traditional financial system. The alternative finance industry is experiencing rapid growth in the Asia-Pacific region. The University of Cambridge, Tsinghua University & the University of Sydney have joined forces to launch the 2015 Asia-Pacific Alternative Finance Benchmarking Survey supported by KPMG, CME Group Foundation, the ACCA and 20 leading industry and academic research partners. The study will assess the activities of equity- and reward-based crowdfunding, peer-to-peer consumer and business lending (i.e. Marketplace Lending) and invoice trading, which are directly connecting lenders to borrowers, raising venture capital for start-ups, funding the creative industries and creating new ways for individuals and institutions to control how and to whom money is distributed, lent and invested. The Cambridge Centre for Alternative Finance at Cambridge Judge Business School, the Tsinghua University, Graduate School of Shenzhen and the University of Sydney Business School are jointly launching the 2015 Asia-Pacific Alternative Finance Benchmarking Survey. This survey will be the first-ever comprehensive study of crowdfunding, peer-to-peer lending and other forms of alternative finance across the Asia-Pacific region – including Mainland China, Hong Kong, Taiwan, Japan, South Korea, Singapore, Malaysia, the Philippines, Thailand, Indonesia, India, Australia and New Zealand. The survey is supported by KPMG, CME Group Foundation, the ACCA and 20 leading alternative finance industry and academic research partners across the Asia-Pacific and beyond, including the Crowdfunding Institute of Australia, LendIt, Crowdfund China Society, Hong Kong Crowdfunding Association, Wangdaizhijia, New Zealand Crowdfunding Society, Japan Crowdfunding Council, Crowdfund Asia Association, Korean FinTech Forum, ShengZhen Crowdfunding Association, Change Fusion Thailand, World Crowdfunding Conference, Crowdsourcing Week, Crowdfund Vibe, FinTech Hong Kong, the Asian Venture Philanthropy Network (AVPN), Nagoya University, the University of Amsterdam, Ahmedabad University with CrowdfundInsider as the industry media partner. There really is so much more to discuss and write about on this topic and positive thoughts on this subject are welcome and appreciated. I’m sure we can all remember a movie that left us with a feeling of sorrow or sadness. Tear Jerker’s stick in our mind even more than movies that makes us laugh or sit in awe. Sadness is perhaps the most sticky of and remaining of emotional states. So it is with great pleasure we bring you the first exclusive peek at the movie being made to take being SAD to another level. #SADtheMovie is here and it is here to stay. Since it burst onto the social scene less than 3 months ago it has picked up an avalanche of follows and fans. It seems being SAD is quite popular. We are all waiting to come to grips with exactly what S.A.D the movie is all about. S.A.D meaning ‘Sitting and Drinking’ What we can see is it seems to be about just about everything! How is that possible? We don’t know either. It is a movie that throws up many questions but very few answers except for the fact that you feel compelled to find out the answers by watching the movie. Written by Actor and director James With and produced by James With, Stevie Eagle E, Al Caudullo and Nick Barnes this is a movie aimed at people power. SAD the movie is heading to crowdfundingmeaning it will have in truth hundreds of producers from around the world. The movie is being shot in Thailand and is already making more fuss on the social scene than big budget Thai Movies. Why is that? It’s simple really. Whatever it is about it is interesting and compelling and not many movies are that these days. Yes they are exciting, big expensive, but very few films are truly interesting and compelling when you are trying to market them. This one for some reason, is. The film soundtrack also boast rising stars Stephan Dante and Joanna Shegera on the Soundtrack. The past credits of the Actors, directors and participants range from Blockbusters like ‘Independence Day‘ and ‘Rambo’ to award winning films and oscar participation. Great credentials indeed. Like thousands of others we shall be keeping a firm gaze on #SADtheMovie hoping to gleen some Idea of what this motley group of characters will be, or do. We really want to know like everyone else. I mean they look like a bunch of ex killers, psychos and drug addicts in the poster. Until then we invite you to take an exclusive look at the conceptual trailer above and you try to figure out what the hell is going on here. When I think of my first SLR, the Pentax Spotmatic F and my second, the Nikon F, these were iconic cameras. They broke new ground set a new standard for their time. As I progressed through this review, holding Samsung’s flagship NX1 mirrorless camera, my gut says it will be joining the list soon. While Samsung sells tons of cameras all around the world, they have never offered a professional camera. The NX1 has been greeted with a great deal of skepticism from many quarters. But all the elements are right there. Breakthrough tech combined with a solid build and a vision for the future. Mirrorless cameras have been declared the future and DSLR’s, the past. This camera reinforces that. And the potential is there for even more. When this camera was in development Samsung actually tested the sensor at 6K RAW @ 240fps. Maybe we’ll see that resolution in the next generation. A list of key features is quite impressive. The NX1 can output 4K 4:2:2 8-bit video over HDMI for capture on an external recorder. Flash “shadows” 16-50mm lens, must zoom to eliminate it. Movie Converter software is poorly built with no advanced features and many basic features missing. Definitely a stop-gap software. no batch settings If you have 50 files to convert, you must go through them one at a time to select the conversion settings (unless you want the default settings). Finally, the conversion process is slow enough to have a significant impact on workflow unless you have a really fast computer. Let’s discuss the build of the camera. Samsung chose to make The NX1 using die-cast magnesium alloy for the body. The result is a light but an extremely sturdy frame. 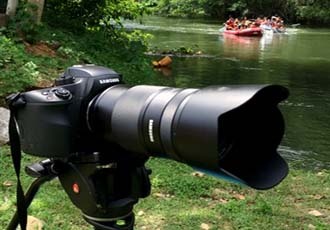 The overall size of the camera body equates to a medium-sized DSLR. The hand grip gets away from the trend of smaller and instead delivers a true grip that feels extremely comfortable in my hand. It’s snug to the base of my thumb and doesn’t tire out my hand like many other smaller grip cameras. This is important when you shoot all day long. The ergonomics get an A+. The body is splash resistant and combined with the “S” Series lenses you a fully sealed water resistant system in case you are exposing the camera to the harsher elements. At 610grams, the weight is less than a Canon 5D Mark III(950grams) or the Sony A7RII (625grams) but slightly more than the Panasonic GH4 (569grams). The layout of the controls is both familiar and unique. As I hold it my fingers deftly fall and find controls right where I expect them to be. A beautiful, natural, intuitive design. The top dials are right where you expect them to be. The mode control dial features a useful locking button to avoid mistakenly changing settings. The left-hand dial offers ISO, AutoFocus, metering and white balance. The lower part of the dial handles drive operation, single shot, normal continuous, self-timer and bracketing. Harkening back to classic cameras, the top-mounted LCD supplies you with almost every setting in one view. One feature that I love is the placement of a separate stills and video record buttons. They are situated right next to each other, allowing you to just slide your thumb over to activate either function. One caveat is that The video record button is recessed a little too much for me. I’d prefer a slight bump to make it easier to feel as I slide my thumb over. The main reason behind this request is the closeness of the exposure compensation button which I have on more than one occasion pressed thinking I was activating record. No harm done as the exposure compensation control is a combination of pressing that button and turning one of the thumbwheel controls. However, several video recording opportunities were delayed due to the inadvertent push of the wrong control. Since the NX1 captures 6480×4320 stills at a 3:2 aspect ratio and 3840×2160 for 4K UHD which is a 16:9 ratio. For framing video, the customizable backside menu dial has a default set to change the image to display the proper aspect ratio when you press the right arrow on the dial. However when you utilize the autofocus by executing a half press of the still shutter, the display snaps back to the 6480×4320 – 3:2 aspect ratio. When you press the video record, the screen snaps to the 16:9 ratio video format from the 3:2 stills formatting. It doesn’t hurt anything but for framing purposes it can drive you a little buggy. On the positive side switching back and forth between stills and video is super simple. The Super AMOLED w/Touch Screen is really just that, super. I have never seen a better looking, brighter or cleaner image on a screen. I am not a fan of the sliding tilt, however. I’d like to see swing out and twist. This is one of the few things that I don’t love about the camera. It is something that you can get used to. That said, the touch screen is marvelous and even the play feature with the ability to pinch to zoom, swipe, and tap. Something that we are all used from our smartphones and tablets. Even without the limited movement of the screen, you can, however, still do selfies by using the Smartphone App connection. One immensely useful tool is the tap to focus in live view mode. I have been able to do a smooth rack focus just by tapping the screen. The companion 1024×768 OLED viewfinder is outstanding and can be set in the menu for color or black and white for more critical focus situations. I found the focus system to fast and accurate about 85-90% of the times. But I have only tested it with the two best high-end lenses that Samsung makes. A general observation about the interconnectivity of the device between iOs and Android is that, not surprisingly, Android is a much smoother, easier setup and operation. The Samsung NX1 comes with a 28 megapixel APS-C BSI CMOS sensor 23.5 x 15.7 mm with image processing by the DRIMe V image processing engine. Wow, that sounds impressive, and it is. Memorize it and use it at the next party you go to and you will be the “Grand Nerd of the Night”. But what does it really mean to your shooting experience? Why is it such a big deal? Let’s pull it apart and see how it relates. The BSI or BackSide Illuminated CMOS image sensor uses a novel approach to the layout of the electronics for the sensor. Traditional CMOS sensors have the electronics on the front of the chip with microlenses, then the real workhorses, the photosites that actually record the light behind them. By placing the electronics behind the sensor, Samsung has been able to add more photosites to the same size sensor area, thus enabling more precious light to reach the photosites. More light means less amplification is needed which in turn means less noise in your picture and cleaner, crisper images. This same tech is the reason that smartphones today are producing better images. It was, in fact, originally used in astronomy sensors for complex telescopes. Till then, no one had made a BSI CMOS this big. Sony has since upped the game by introducing a 42.4MP image sensor on the a7RII. To give you a comparison, Samsung’s NX30 has a traditional CMOS configuration. The same sensor size yields a 20.8 MP image. So you can see by adding the BSI CMOS Samsung was able to increase the amount of pixels on the sensor to 28.2MP. That’s 8 million more pixels spread across the same size sensor. Another result of the additional light is the additional sensitivity for better low light performance giving the camera a native resolution range of ISO 100-25,600. Which can be electronically stretched to a whopping 51,200. The DRIMe V (pronounced DREAM) image processing engine (a quad-core chip) is really the brains of the operation. that Samsung describes as It takes all the information gathered by the sensor electronics and creates the image. Sounds simple, but it’s not, especially when you realize that the NX1 can shoot at a blistering 15fps for 90 images (with the 1.40 firmware upgrade) in Superfine JPEG or 25 images in SRW RAW. That’s a mind-blowing 700 million pixels of information being spewed out at 15fps. Add to the mix the 14-bit sampling of raw images and 12-bit in continuous shooting application. To look at it in another way, shooting 4K UHD video at 30fps means that you are capturing thirty – 8MP images every second. With continuous shooting the engine is handling fifteen – 28MP images every second. Quite a processing feat indeed. One more item that will bring home the inherent value of this camera. The NikonD4S shoots 16MP at 11fps and costs almost 3 1/2 times the Samsung NX1. The processing engine also handles the autofocus duties. With 205 phase and 209 contrast-detection autofocus points the camera is lightning fast focus. These points are built into the surface of the sensor. If you aren’t familiar with how these two focus systems work, allow me to give you a quick primer. Phase Detection Autofocus compares two complimentary images of the selected subject. Simply put if they don’t line up, then they are not in focus. The difference in the distance between the two images tell the camera how much to refocus, either nearer or further. Contrast-detection autofocus measures the subject contrast ratio. If the ratio increases, then the camera knows it’s going the right way. If it decreases, it reverses course and goes back. 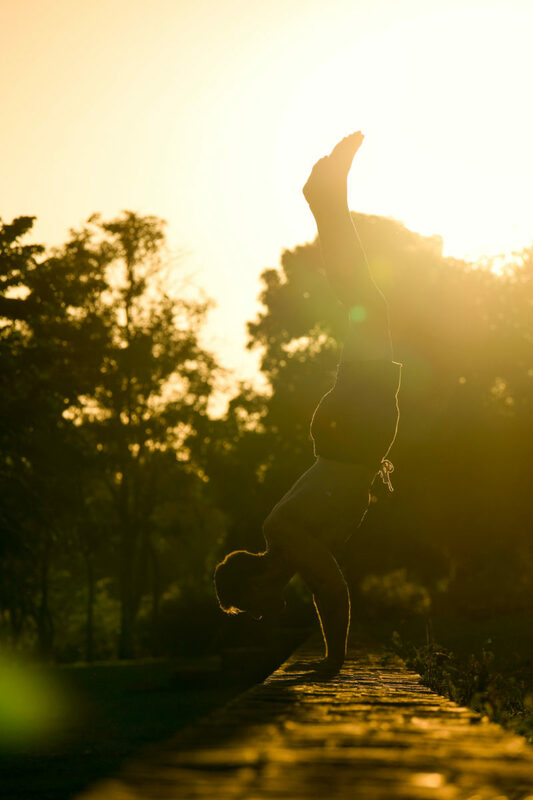 While all of this trial and error measuring happens very quickly, nevertheless, you will see a slight blurring, sometimes referred to as breathing, before the focus snaps into place. Why then, do cameras have both? Because Contract Autofocus works better on faces and Phase Detection Autofocus tunes in moving objects faster. Hence the hybrid combination. By spreading the autofocus detection points across the entire surface of the sensor with a denser package towards the center versus the edges produces the most efficient results. That once again takes us back to that wonderfully lightning fast DRIMe V image processing engine which creates the fastest and most accurate autofocusing system that I have seen on any camera. That is not to say that you don’t run into issues. This is where understanding the limitations of any machine versus the human brain comes into play. In certain conditions, the autofocus does lose the plot, but these are mostly extreme circumstances where, for instance, an extremely bright back light directly next to your subject. That’s where you use your processing engine, your brain, and either move the subject or switch to manual focus. You have three autofocus settings to choose from, Single AF (SAF), Continuous AF (CAF) and Active AF (AAF). SAF is designed for shooting still subjects. A half-press of the shutter adjusts the focus in the boxed focus area. When in focus the box has a green outline. CAF is the workhorse position. This is designed to continually adjust the focus. You can resize or move the focus box using the touchscreen or the command dial. AAF will flip between SAF and CAF as needed. So if the subject is far away but moving towards the camera, it would start with SAF and as the image gets closer and bigger it would switch automatically to CAF. Manual assisted focusing either enlarges the picture by 5x or 8x. My personal choice is to use CAF for video and SAF for stills. In video, the speed of the processor is the reason that you can record 4K to the internal SDHC cards. Because it is processing the image information so fast, then utilizing the H.265 codec to capture the video files in a compressed format that still retains the original image quality. In fact, H.265 can be as much as 1/2 the file size of H.264. Plus it aids the SDHC cards by not requiring them to capture so much data. Meaning that you don’t need the incredible speed need in the cards as you do for cameras like the RED that have to capture to extremely high-speed SSD drives. Autofocus modes consist of Selection AF, whereby touching the screen you decide on a focus point. Whereas Zone AF will set the autofocus to adjust within a zone area that you preset. This works well with camera movement. Multi AF displays a green rectangle in places where focus is set correctly. The photo is divided into two or more areas, and the camera obtains focus points of each area. This mode is recommended for taking landscape photos. Face Detection AF is designed for group photo settings. Self-Portrait AF It can be difficult to check whether your face is in focus when you are taking a self-portrait. When this function is on, the camera beeps faster when your face is in focus and located at the center of the composition. I must say that the last two Face Detection and Self-Portrait are definitely solely consumer based. And with the heft of this camera it is certainly not designed for selfies. That said, the Selection AF, Zone AF and less so the Multi AF are definitely helpful for pros as well as consumers. These modes combine with the Focus Assist Modes for the greatest efficiency outside of good old fashion manual focus. I have found that Selection AF combined with Touch AF is my most used AF mode combo. The NX1 captures both 4K DCI (4096 x 2160) @24p and UHD (3840 x 2160)@23.98p, 24p, 25p/30p plus Full HD (1920×1080) @ variable to 120fps, 60p/50p, 25p/30p, 23.98p, 1280×720 , 640×480 Resolution (though I’m not sure why anyone would use the last few). H.265, the heir apparent to H.264 was developed as the “HEVC” (High Efficiency Video Coding) format by both the Moving Picture Experts Group (MPEG) and the Video Coding Experts Group(VCEG). How H.265 works is similar to H.264 in that it uses “image blocks”. It “sees” the image frames and scans for the areas that change and those that don’t. What H.265 does differently is it adjusts the size of the “blocks” to match what is happening on the screen. So the static area gets bigger “blocks” while the changing areas get smaller “blocks” which are easier to rapidly change as the image does. I’ve kept the explanation somewhat simplified and there are other factors that contribute to the quality improvements. If I went into everything that goes into H.265, this article would be more like a very thick book. The result is that the image quality is substantially improved while the file size is drastically reduced. The process does require substantially more processing power. Again where the DRIMe V image processing engine comes into play. You’ll notice later that I list the H.265 codec as both a “Pro” and a “Con”. There is good reason for both. As a “Pro”, it is a pretty sure bet that H.265 will be the next de facto codec for camera recording, just as H.264 was before it. It will certainly not disappear in the face of Google’s VP-9 codec. Even Google doesn’t believe that it will as they also support H.265 playback on Chrome. Samsung has taken a bold step in being the first to feature this codec. Although in all honesty, the NX1 forums have more than their share of moaners and groaners cajoling Samsung to offer both H.264 and H.265 codecs in the camera. These neophytes don’t realize the added complexity nor the pointlessness of offering both. You either lead the charge or sit on the fence. Samsung has decided to take a picture of the fence as it surges forward. As a “Con” it is a short term one. At this point, there is no NLE on the market that can edit the codec. In fact, until recently it was hard to find a player that worked properly. Samsung supplies both a player and a converter for the H.265 codec. The NLE situation will be resolving itself as well as software companies are already working on ways to edit this tightly compressed codec. If you don’t care for Samsung’s Conversion solution there are several others out there and some are free. here is a list and brief description. This is not a free one, but it packs a ton of features into an introductory price of $129. You can convert into multiple formats including ProRes, DNxHD, MJPEG, MP4 (H.264), plus more and even resample and upscale to 10-bit in the process. Noise reduction, Frame rate change, overcranking and undercranking plus a whole lot more. This Free converter is quite a deal and was born out the frustration with the Samsung Converter. It basically utilizes FFmpeg source code in a GUI application. It is basic but very quick at converting to H.264, H.265. ProRes Proxy, LT, SQ and HQ codecs. Your choice of downscaling to 1080p or converting to 4K. No bells and whistles here, just simple and efficient. This is a marvelous little extra treat. The Samsung NX1 has a built in intervalometer for doing time lapse and it will even process the image files into a 4K video file. My advice, don’t do it. Leave the image sequence as is. When you import it into your NLE (Pro Tip: adjust in Lightroom first) you will then have a glorious 3:2 ratio 6.5K video to play with. Zoom in to 60% and it will fill the screen with a decision to crop at the top or bottom. The 6.5K resolution means you can zoom as much as you like with little or no effect on the image quality. Or leave it at 100% and create a Hyper-Lapse by keyframing your pan and scan moves. Either way enjoy and take advantage of the extra resolution. Why only 8-bit 4:2:2 Samsung? With all the 10-bit proffered by other manufacturers and the need for 10-bit color sampling for 4K I can only hope that we will see it in a firmware upgrade. Dynamic range describes the ratio between the minimum and maximum useable light captured by the camera. This is one of the most misunderstood and misused buzzword out there. It is akin to the wildly extravagant claims of contrast ratio for TV’s. There are a million different ways to measure it, all of which can be slanted in one direction or the next. Add to that the fact that the new BT2020 standard, which will show how that immense dynamic range will perform, has not made it to market yet. Test conditions make a huge difference as well. What type of lighting? Studio? Outdoor Daytime? Outdoor Nighttime? ISO Setting? How much digital noise is there in the image? How much is acceptable? There are no real established standards at this time. While Samsung NX1 does not have a raw or LOG setting for video, it does have GammaDR and Smart Range+. While both of these work together to increase the range available, it won’t be complete until Samsung offers a true flat profile. For our purposes, let’s discuss this with more practical applications. As an example, you are shooting at sunset. You have the sun visible in the shot and you have a darkened area that goes all the way to a deep black. The True Dynamic Range would be measured between the highest degree of white that isn’t blowing out and the most visible detail in the blackest area. In my subjective testing, I have found that the NX1 is almost as good as a full frame sensor. Depending upon the lighting and the exposure, aim for proper exposure of the highlights as the Samsung really holds the details in the shadows much better. So the trick is to slightly underexpose on the highlights and correct and expand in post. There are several parameters to bear in mind during testing. It is a given that the higher the ISO, the more digital noise is introduced into the image. Settings of 100 to 800 ISO were used for testing. I pushed beyond all the way up to 51,200, but it just got silly testing for any kind of true pro quality at those settings. For me, they are there for those images you just HAVE to get and don’t care how fuzzy it looks. Shutter speed plays a factor in the testing. Lower shutter speeds are great for gathering more light for shadow areas whereas higher shutter speeds, in general, they can save you in the highlights. And not to get you more confused but, Exposure compensation is another one of those, “tricks of the trade”. I found that depending upon lighting conditions, that adjusting the EV by +4EV can result in a much better image than increasing or decreasing shutter and ISO. The final factor is the lens. Each lens is designed to have a “sweet spot”. This is the optimum f-stop setting for any particular lens. Manufacturers don’t want to talk about this because the misconception would be that the lens is somehow “less” at any other setting. That is NOT true. It is widely accepted that there is a “native” ISO for every camera. Well, the same goes for lenses. Without testing, there is no definitive way to know, but in most cases a “middle-of-the-road” approach is safe. Keeping those parameters in mind I have found that, at it’s best the Samsung affords a solid 12 1/2 stops of Dynamic Range. At it’s worst, you will bottom out at 10 – 11 stops. These were all shot with a 100 ISO setting. The results will drop steadily with any ISO over 800. One final thought about dynamic range. Many talk about it like it’s the Holy Grail. And it is wonderful when you are shooting on a camera that has it built in. But if not, the truth is that proper exposure can result in just as good or better results. True profiles to increase dynamic range are wonderful, but unfortunately, the trend lately has been to create these pseudo LUTs or profiles or even de-LUT’s (whatever that snake oil is) in post. But reader, let me tell you, if you are not applying this to the camera as it records then all you are doing is adjusting the color correction to create a flatter video image and then color correcting it again. It’s pseudo-science, snake oil, my friends, now you see it, now you don’t. If you buy it, then I’ve got some dry swamp land to sell you! This is the one place where I think there is a need for improvement, page numbers on the menu. There are none. You go to any book, there are page numbers. When you look something up in the index, there are page numbers. It is a simple but extremely effective way to find the item that you are looking for. It slows you down to look for the exact item you want to change. It’s unbelievable to me that with the technological advances of this machine that the menu doesn’t have page numbers. Ok, enough of my rant. Samsung please give us page numbers. that’s all I’ll say on that. The menu operation is smooth and easy with either touchscreen or dial control. Samsung Smart Shot, Picture Wizard, and Smart Filters are both a bow to the consumer side of the prosumer users. Picture Wizard gives you the option to pre-adjust your image with built in looks. You can also create and save your own look with Custom Settings. Portrait creates natural skin tones. 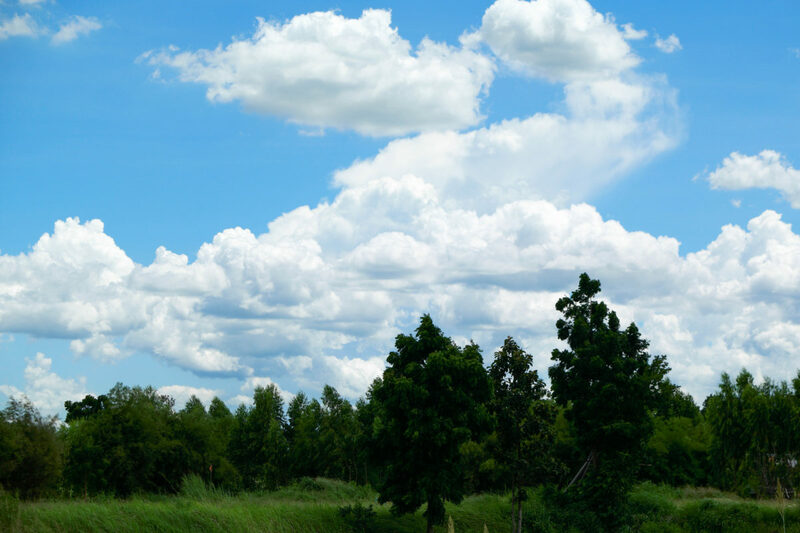 Calm is described by Samsung as creating a calm scene effect. Clicking the up arrow on the control dial will allow you to customize each one of these if you like. Scrolling over to Custom 1, 2 or 3 allows for complete customization of the look. Vignetting Applies the retro-looking colors, high contrast, and strong vignette effect of Lomo cameras. Miniature (H) Applies a tilt-shift effect to make the subject appear in miniature. The top and bottom of the photo will be blurred. Miniature (V) Applies a tilt-shift effect to make the subject appear in miniature. The left and right of the photo will be blurred. Watercolor Applies a watercolor painting effect. Red Desaturate all colors but red. Green Desaturate all colors but green. Beauty Face Capture a portrait with options to hide facial imperfections. Landscape Capture still-life scenes and landscapes. Action Freeze Capture subjects moving at high speed. Rich Tones Capture a photo with vibrant colors HDR. Panorama Capture a wide panoramic scene in a single photo. Waterfall Capture scenes with waterfalls. Multi Exposure Capture multiple photos and overlap them to create one photo. Samsung Auto Shot Capture action photos, such as someone hitting a baseball, a jumpshot, or when the subject passes a preset point. Silhouette Capture subjects as dark shapes against a light background. Sunset Capture scenes at sunset, with natural-looking reds and yellows. Personally, while I did test these and they all worked fine. I keep the setting in the “off” position, preferring to shoot in SRW RAW mode and adjust in Lightroom and Photoshop. Please keep in mind that if you are shooting in RAW only, the Smart Filters setting will be grayed out in the menu along with the choice of Photo Size. With one button on the lens and two dials on the body you can set the aperture, shutter sped, ISO, Exposure Value, and White Balance and Intelli-Zoom (if the lens is so equipped). This is a fantastic feature for “run and gun” shooters eliminating having to go to the menu to make these adjustments. I like it because you can make all of these adjustments after enabling the i-Function with just using the two command dials at the top and back of the camera. Customization of the features are available through the menu under “iFn Customizing”. The trio of NFC, WiFi and Bluetooth make the NX1 the top of its class in wireless camera connectivity. Dual Band communication features a choice of 2.4GHz or 5GHz transmission. This is especially helpful if there is an overload of 2.4GHz devices in the area. Utilizing the Bluetooth you can have the time set automatically and add GPS coordinates to your image file. One caveat is that the Bluetooth only works on Android and not the iOS version. Overall I would say that the Android experience is smoother than the iOS app, which is to be expected considering you are linking to Samsung smartphones. Which is too bad because I really like the Bluetooth shutter feature on the Android version. Both do offer smartphone camera control and remote viewfinder control. With Remote Viewfinder, you can set the file size for stills or video, change picture modes, drive settings, AF settings, white balance and decide on either VGA or QVGA streaming. There is very little lag in operation, but if the camera goes dark then you can lose the connection and have to re-establish. While you can directly post to your Facebook or Instagram accounts, you can transfer between the camera and smart device easily with the application. download and install Samsung Movie Converter, Samsung DNG Converter, PC Auto Backup, Power Media Player, and the SDK reference program. No more CD with software that gets lost when you need to install again. Everything your need to work with your camera including the H.265 converter software is there. In addition, there is a licensed copy of Adobe Lightroom for you. Be sure to update the software as soon as you install it as the version supplied does not support Samsung’s SRW RAW file format. Adding any of the Premium “S” Series lenses, like the 50-150mm F2.8 S ED OIS Lens at 915grams or the 16-50mm F2-2.8 S ED OIS Zoom Lens at 621 grams add some beef to your hand. But it feels good. Traditionally, as long as the camera is well balanced a little more weight lends itself to better stability in your shots. Plus these lenses have optical stabilization built in. For my testing, I have been provided with these two lenses and I can truthfully say they have served me for 95% of my shooting. I would have liked a true wide angle to test like the 10mm F3.5 Fisheye lens for testing, but perhaps at a later date I can get my hands on one. The 16-50mm F2-2.8 S ED OIS Zoom Lens offers an 82.6 degree angle of view at 16mm, equal to a 24mm lens to a 31.4 degree angle of view, the same as a 75mm lens in a 35mm system. The 50-150mm F2.8 S ED OIS Zoom Lens picks up from there nicely offering an 31.4 degree angle of view at 50mm, equal to a 75mm lens and tapers off to a 10.7 degree angle of view at 150mm, the same as a 231mm lens in a 35mm system. The availability of a range of lenses which was an early criticism of the system is rapidly expanding. Samsung now offers 28 lens choices, including primes, with more on the way. Rokinon, Samyang, Bower, Lensbaby & Rising are all offering a steadily increasing selection of Samsung NX mount lenses. In addition Fotasy and FotodioX both have economically priced adapters to use either Canon EF or Nikon lenses. Although using these adapters send you to manual only adjustments. No word yet from Metabones about a powered adapter, although I am sure as the camera grows in popularity, we will see an offering from them. These two lenses represent the high end of the lenses offered by Samsung. What sets them apart is the overall combination of features. The 16-50mm F2-2.8 S ED OIS Zoom Lens has 18 elements in 12 groups. The lens includes three aspherical, two ED, and two XHR lenses. The aspherical elements control the softness often seen at the edges of other lenses. These elements balance the distribution of light more effectively creating a much smoother distribution of light across the image. The ED or Extra-low Dispersion performs a similar equalling out of the color, preventing fringing on the edges and keeping a smooth dispersion of the color wavelengths across the surface of the lens. this gives you superior sharpness and color correction by diminishing chromatic aberration. The Xtreme High Refractive (XHR) lenses makes for more efficient and uniform distribution of light and keeps the lens more compact and lightweight than other lenses. These features combine with the lens-shift OIS (Optical Image Stabilization) and the Ultra-Precise Stepping Motor (UPSM) to produce true professional quality image results even in the most adverse conditions. The additional bonus is that these lenses are truly dust and splash proof. An interesting difference in the 50-150mm F2.8 S ED OIS Lens is the SHS or Samsung Hyper Shield Coating on the lens. It incorporates Anti-Fingerprint, Anti-Fog and Anti-Splash characteristics to the lens versus convention coating. In addition, the lens has a custom focus range limiter that can be adjusted to a specific distance area of focus. This in turn allows for extremely fast autofocus. In testing this feature, I found it especially useful in distance shots in outdoor nature situations. The 6-axis Optical Image Stabilization performs excellently to keep the image in the viewfinder stable for framing. My testing with both lenses revealed a well designed and executed lens system. There was a great deal of thought that went into this pair of optic tools. Clean, clear crisp images with fast accurate focusing, weather proofing with a strong feel and responsive action in your hands. I especially appreciated the little things like both lenses having a filter ring size of 72mm, making it easy to switch any filters or even interchange lens caps as you alternate between cameras. The Bokeh is the term for the ascetics of the out of focus areas of the image. The origin of the word comes from the Japanese word ボケ味, the “blur quality”. The best cinematic lens offers Bokeh described with terms like smooth or creamy or harsh. 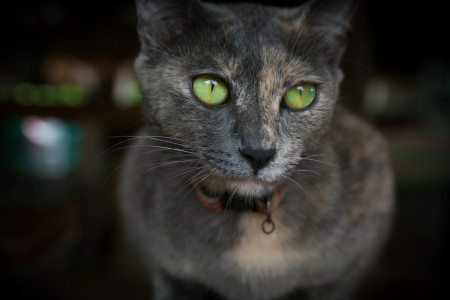 They enhance your images by enhancing your subject against a pleasing intentionally blurred background. In my opinion, I would describe the Bokeh as creamy and rates highly in comparison to almost any professional lens on the market. Both the 50-150mm F2.8 S ED OIS Lens and the 16-50mm F2-2.8 S ED OIS Zoom Lens use nine rounded aperture blades, so the Bokeh for both areas matched set. Another example of team minded design. While working on the completion of this review, the eighth (8th) Firmware Upgrade and sixth (6th) Lens Firmware Upgrade was released by Samsung, Version 1.40. Samsung has continued to follow an aggressive stream of upgrades with a combination of fixing issues and adding or improving additional features. Honestly, I can’t remember another camera manufacturer who has been this committed to improving it’s product. Some of the listed changes are obvious, some not so much. In testing these add-ons four stand out as being major. First, the increased continuous maximum shot counts. Adding 20 is a testament to the power of the DRIMe V image processing engine. And while adding another 5 shots in the continuous burst of 15fps may not sound like a lot, it most certainly is when you realize that each SRW RAW is 47.6MP. Adding DIS (Digital Image Stabilization) is, in my opinion, the most important of the group. It is a boon to handheld shooters. There is a slight crop applied to the image which is a necessary and acceptable trade off for the visibly improved image quality. Critically focused shots are an absolute must for 4K shooting and Focus peaking is your best friend. One of the major bugs before this update was that the focus peaking would have to be reinitialized. Now it can be Key-mapped to a custom button in the menu. I choose the down arrow of the command dial. Lastly, the improved autofocus during zooming is a very noticeable improvement. While it is restricted for only 6 lenses, these do constitute the real workhorse lenses in the Samsung arsenal. In video, I usually don’t zoom unless it’s a sports event that I am shooting with one camera. In the past in those cases I was stuck with a sometimes nasty “breathing” of the focus until it settled. It didn’t take very long, but it was, nonetheless, unacceptable for professional video. That issue has been eradicated totally with this upgrade. One major thing to remember with installing a firmware upgrade is that it does a reset of the choices in your settings. If you change a lot it would be worthwhile to make a text file or take pics of each menu page for easy resetting after. 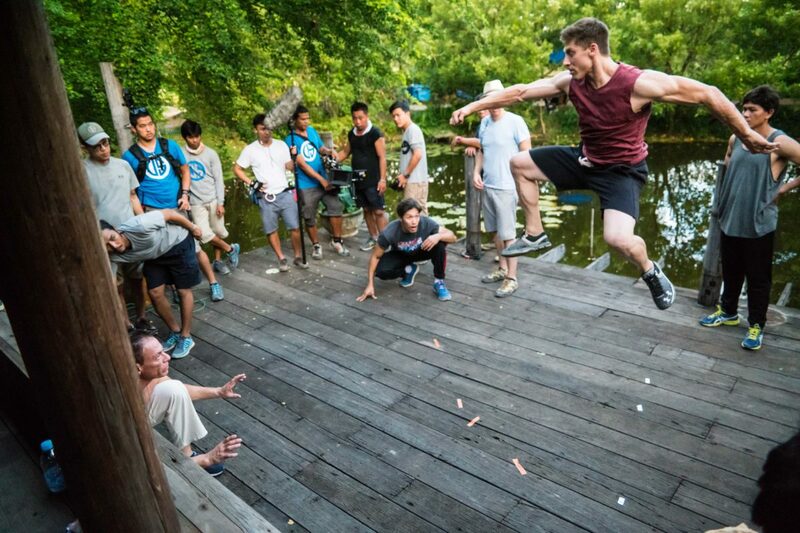 A unique opportunity recently arose when I was hired as the behind the scenes videographer and still photographer for the new Jean-Claude Van Damme/Dave Bautista movie, Kickboxer Vengeance. The movie, penned and co-directed by Dimitris Logothetis and John Stockwell is more than an action packed martial arts fest. It is a UFC, MMA fan dream with such notables as George St.Pierre, Gina Carano, Cain Velasquez, Fabricio Werdum and more. The reboot costars Alain Moussi, a rising Canadian actor/stuntman with kicking and splits abilities that surpass Van Damme himself. 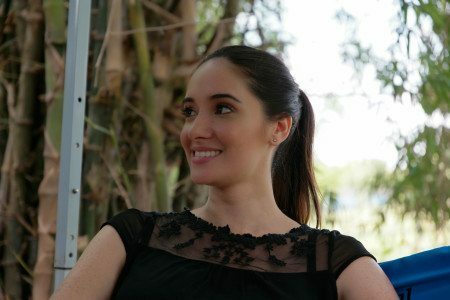 The female lead is Sara Malakul Lane, an up and coming successful Thai model and actress who elevates the original female lead to Lui a tough Thai Policewoman and love interest to Kurt Sloan. Ted Field, of Riddick, Last Samurai and Three Men and a Baby produces. Having just received the Samsung NX1, at the time, to review this seemed like the ideal real-world testing ground. What better way to find the capabilities of the camera than to use it on a Hollywood movie set. My video weapons of choice included the Samsung NX1 with the 16-50mm F 2-2.8 S ED OIS and the 50-150mm F 2.8 S OIS lens. This pair offered the flexibility for both wide angle masters as well as tight portrait shots. In addition, I used the Atomos Shogun, but I will talk about that in a separate review. The concept was to shoot both 6.5k stills and 4K video, from which high quality stills could be easily pulled from the NLE timeline. Both Director of Photography, Mateo Londono and the Director, Dimitris Logothetis took notice of the quality of the shots and the camera. They both commented that the Samsung NX1 produced cinema quality shots that could be paired with the Red Epic being used by the production. Having lived and breathed with this camera for 14 days of shooting everything from night scenes to high action martial arts fights to press conferences it is safe to say that I am fully indoctrinated to the nuances of the camera. The NX1 manages to achieve something no one else has been able to do at this level, create a camera that delivers both professional quality stills alongside spectacular Pro video. As a still camera, the amazing 90 JPEG @ 1/8000th-second continuous image burst at 15fps surpasses cameras three times the price. With that kind of latitude the need for neutral density filters disappears. The SRW RAW files contain a spectacular amount of image data that can easily and creatively adjusted in Lightroom and Photoshop. But never fear, if you straight from the camera stills, the NX1 delivers them quite well. This is where the built-in creativity of the Smart Shot, Picture Wizard and Smart Filters comes into play nicely. And the built-in wiFi means that you are a connection away from emailing anyone a picture straight out of the camera. The video performance of this camera is flat out stunning. 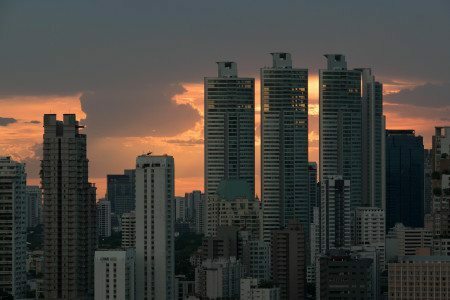 Having tested it in low light on a night shoot of a Hollywood movie to the overpowering brightness of shooting a sunset, the camera has constantly outperformed expectations. There is a huge fixation lately about RAW and flat S-LOG which is overinflated and misleading. While it is true that the NX1 does not offer a super flat image, a properly exposed shot can be adjusted in post to do everything that a flat profile can offer. Indeed one that same Hollywood movie set of Kickboxer Vengeance the consensus was that the Samsung NX1 could be used side by side with the Red Epic footage in post production. You simply can’t expect better than that for a sub $2000 camera. I highly advise avoiding this strange concept that seems to be brewing for those who sell these NLE based LUTS and De-LUTS. In my opinion, if you don’t apply it in the camera, then you are doing nothing to add the dynamic range or quality of the image. In fact, you are basically color correcting to achieve a flat image only to color correct a second time to reach the “look” that you want. It’s like flying from New York to New Jersey by first flying to LA. Sure you can do it. But the question is, WHY? While the NX1 allows for custom controlling of the Luminance Levels and Master Black Levels these as not designed to expand the dynamic range but rather as a way to match to other cameras in given shooting environments. The base settings in combination with the Gamma DR setting grants you the widest latitude in true dynamic range. I found it very easy to use the Touch AF for set up of focus during those hectic points in shooting behind the scenes on a stunt-filled action movie like Kickboxer Vengeance. In fact, I was even able to pull off rack focus using the Touch AF and the AF Responsiveness adjustment in the menu. The results were as smooth as using the lens control but without needing a second person focus puller. When I had the time the 1280×70 viewfinder was sharp and spectacular with the manual focus switch on the lens barrel easy to access. There are however a few hurdles for Samsung’s wizards in engineering to overcome to achieve full professional parity. 10-bit 4:2:2 color sampling and 4k 60p frame rates among them. Enabling 10-bit 4:2:2 instead of 8-bit4:2:2 from the HDMI port would be a welcome first step. That would grant us the ability to use the Atomos Shogun to its fullest potential in external video recording. Audio has always been a weak link in all mirrorless cameras, but the newest firmware upgrade has taken the first step by improving the external audio capture. But still more needs to be done. H.265 is a definite long term advantage allowing you to record twice as much as H.264 while still maintain the same professional quality standards. An added bonus is that you don’t need the excessive fast SDHC cards that can cause long term overheating issues and failure. If you are serious about capturing stills or video, my advice is that this is THE camera to get. There is no other camera in this price range that delivers the bang for the buck that the Samsung NX1 Camera does. Thank you for your interest and remember to use these hashtags in your social media. 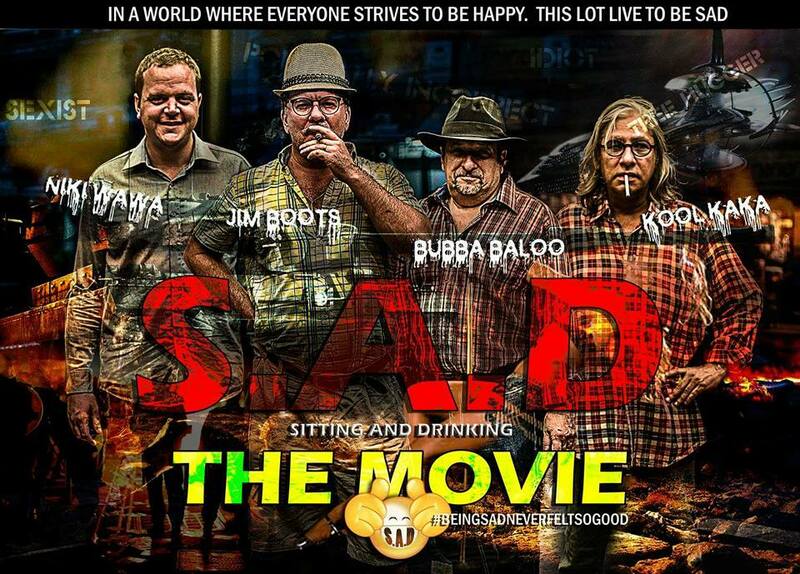 The S.A.D Movie Team will be launching a crowdfunding campaign soon and by using the hashtags listed here in your own social media posts your chances of being selected for SADsurprises increases radically… Want to be a SADwinner? Because you’ll then be experiencing that special feeling … #BeingSADneverFeltSoGOOD! 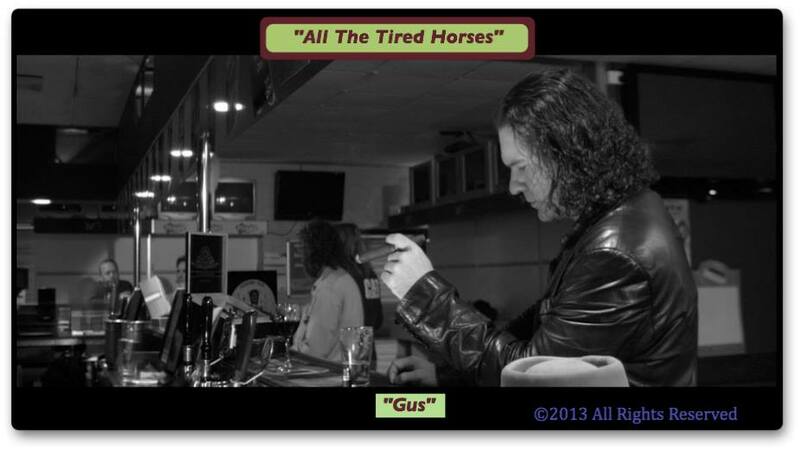 #ATTH: “All the Tired Horses” … a Morality Driven Drama … On and Off the Screen! This article has been produced and published to shed light on a film project known generally as “All the Tired Horses“; still in production and at the time of writing it is nearly seven years since the project commenced. The producers wish to advise that the statements are known to be true and made without prejudice. The extraordinary length of the ongoing Western Australian Supreme Court case has thrown up inconsistencies and incongruences that highlight concerns of corruption, misuse and abuse of the Australian courts. The producers and defendants involved in making “All the Tired Horses” have been repeatedly subjected to extreme prejudices for many years and are losing faith in what in legal speak is termed due process… dudes, the process is long over due! “All the Tired Horses” is about commitment, morals, ethics and filmmaking; it’s about a professional producer undertaking to produce a film and unwittingly being faced with immature tantrums, ranting, lies and jealous outbursts from egotistical twins backed by a relentless self-admitted mafia-aligned father employing the services of corrupt lawyers; a manipulated legal system and a project that has become bogged down in the Australian courts, mired by ignorance, arrogance and inept court decisions. The journey in making this film depicts reflections of the “China Brothers” and a “tale of two twins” holding on to a weak romantic childhood illusion of togetherness juxtaposed by a stark vicious reality, displaying the dichotomy of two men moving further apart, both creatively and spiritually, driven by their individualistic dialectic forces emerging from within separate minds and bodies. Retrospective speculation points to the notion that perhaps the brothers experiences with the “All the Tired Horses” project might have been the first time these twins had ever really faced any kind of real world challenges in their lives? The “All The Tired Horses” project was started in the first quarter of 2008. 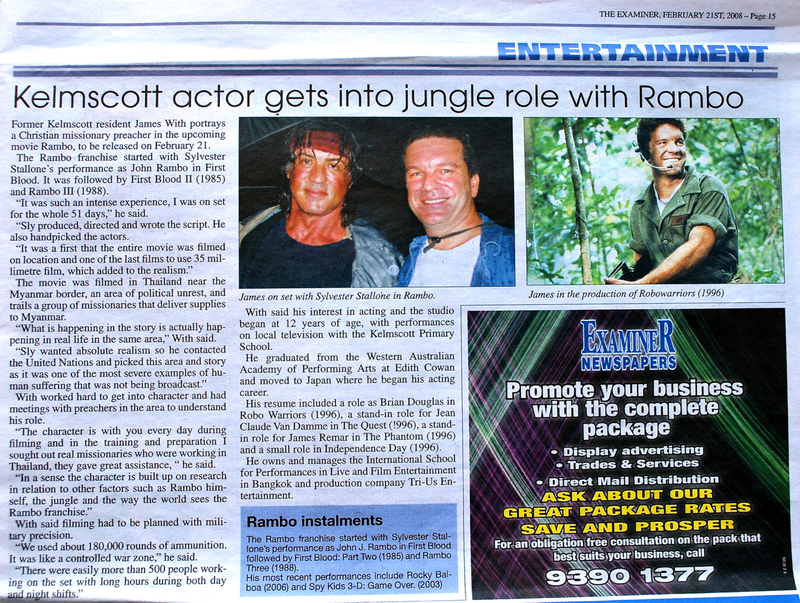 The catalyst was an interview by a freelancing English journalist working in Australia by the name of Paul D. China; Sony Pictures Releasing organised a series of publicity interviews for James With to talk about his acting role in “Rambo” wherein he played a Christian missionary humanitarian working in Northern Thailand and Burma. 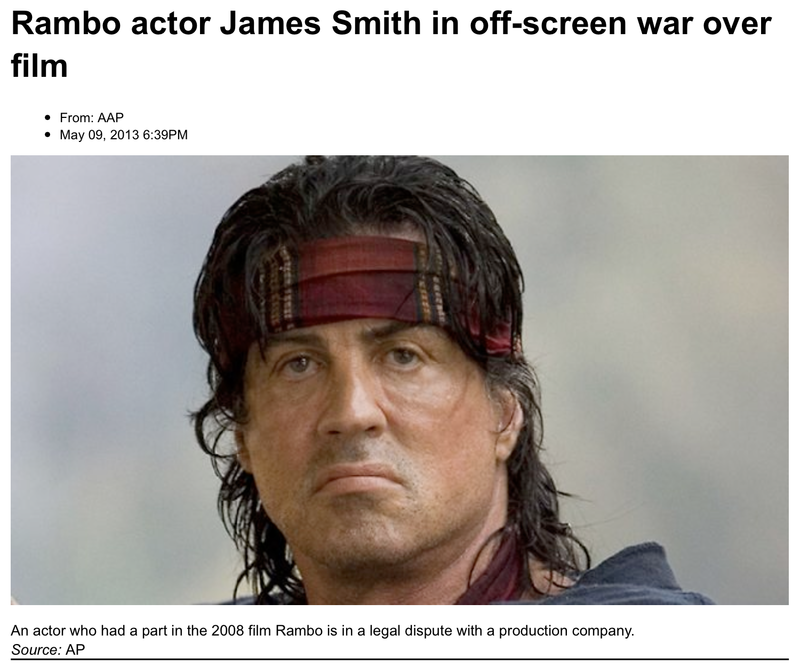 The interviews were organised to promote the fourth film in the movie franchise starring Sylvester Stallone and at that time was set for a theatrical release in Australia on 25th February 2008. Paul China was one on the list of journalists interviewing James With via telephone from Queensland, Australia. If you read and review published posts on the “All the Tired Horses” Facebook page (there is also a full link published at the bottom of this article) you will see that Paul China submitted an unsolicited script for review, which was subsequently assessed and shortly thereafter James With decided to proceed with developing a project to produce a film. 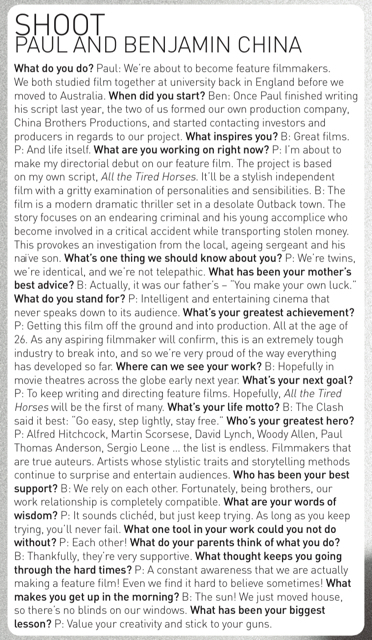 Approximately one month later and after a face-to-face meeting with Paul China and his twin brother Benjamin China in Sydney, Australia it was agreed and decided that James With and other producing parties would structure a project that would allow the young journalist (Paul China) to be attached to direct his first feature film (despite the fact Paul had no prior professional film camera and directing experience). A careful consideration was this young man would be supported by a team of carefully selected experienced professional crew and cast. If it had not been for Benjamin China, his conniving and devious twin brother harboring a self-centred hidden personal agenda, then perhaps Paul may have gotten the chance he dreamed of? The rest… as they say… is history. Alas and unanticipated by the producers, anger, jealousy and egotism from the less creative of the twin siblings took the project in a vastly different direction… Benjamin China became progressively argumentative, aggressive and overly demanding. He perceived things from his own inexperienced unprofessional perspective and deliberately attempted to dictate the project’s direction and production development. Benjamin China displayed emotional mood swings and temper tantrums in front of other crew members and started lying about the production development progress to his father, Shaun China (the mafia “hot head”), himself a minor 3rd party investor in the project via China Brothers Productions Pty Ltd. Believed to be as a result of Benjamin China‘s lies to his father and other investors into China Brothers Productions Pty Ltd, in the 2009 Shaun China began directly threatening James With; the project, other producers and people associated with the project were adversely affected by the aggressive behaviour. Shaun China‘s threats, defamation, slander and bullying actions have continued for years and on multiple occasions Shaun China has publicly announced his personal vendetta against James With, which includes threats of continuing legal action against the defendants in attempts to force them into bankruptcy. Evidence of the extreme criminal mafia tactics have been provided to various authorities including police forces and Government officials in Thailand and Australia. Despite a Global Financial Crisis placing pressure on the production in the latter part of 2008, film financing capital was raised to meet the project budget requirements and contract agreements. James With attracted reliable and trusted investors committed to seeing the film made. Scheduling a start to filming involved balancing an extremely long and hot summer that had left the specifically chosen locations in Roleystone, Western Australia nestled in the normally lush valleys of the Darling Scarp escarpment dry and parched. Under strict summer fire restrictions and the local by-laws enacted during the hot months of the year, production on these locations was prevented from commencing until after the winter rains had arrived that could reinvigorate and rejuvenate the land. The conditions in the area during the first half of 2009 were in stark contrast to the creative look and feel as desired by Paul China, who had been attached to direct the film. Many of the locations were close to James With‘s family home. James had spent his younger years growing up and attending school. James had roamed the hills as a boy and knew the lay of the land; his life-long connections to the local community, friends and family provided great supports to the “All the Tired Horses” project. He anticipated the opportunity to commence filming in August 2009 as soon as the hills and valleys had returned to their vibrant greenery and the local rivers and streams were flowing to capture the imagery creatively desired on locations appropriately sourced for the film’s subject material. Some filmmakers spend months trekking far and wide to find the myriad of appropriate locations that James With knew where to find in a heartbeat. By July 2009 the rains had arrived, filming schedules were being readied, filming facilities in the City of Perth had been reserved via lengthy communications with local Government officials and real estate companies, personnel and equipment were on stand-by and at the ready; cameras were ready to roll… the production was awaiting Paul China‘s final revised shot list (comprising a list of desired camera set ups and shots for each scene)… then suddenly without any advance notice the “China Brothers” up and left… Paul China left the project declaring in an email the project was against his “wishes as a filmmaker” and “expressed no desire to shoot” with the state-of-the-art selected film cameras (rather bold and brazen statements considering Paul had never directed a film in his life). Almost simultaneously, twin brother Benjamin China stated in an email “We will wait on the East Coast until production begins.” (another rather bold and brazen statement considering their accommodation, travel and living expenses were all being paid by the production). A couple of childish ‘prima dons’ emboldened by egotism and arrogance and furthermore backed by a threatening mafia father figure and his cronies. Without any further communication to the other producers of “All the Tired Horses” the “China mafia” proceeded to ratchet up their attack on the production employing an unscrupulous law firm; the firm’s lawyers began to attack the producers and the project in underhanded and illegal ways. Corrupt lawyers in the firm solicited bank statements and records from the ANZ Bank through bank employees without first obtaining court orders and then raced to cover their tracks; the illegal acts lead to a rapid succession of further court orders being handed down by judge Kenneth James Martin that affect the bank accounts operated by Tired Horses Films Holdings Pty Ltd and the other Australian production companies involved in the “All the Tired Horses” project. James‘ personal accounts were also frozen in the flurry of court orders. Further aggression and slander mounted as false and misleading claims from the China mafia were submitted to the court by their unscrupulous lawyers as they hastily explored confidential financial statements and jumped to illogical conclusions. What is obvious from the evidence on the record at the Western Australian Supreme Court case files is that in the preceding months before filming was to commence in August 2009 the China Brothers were systematically preparing to attack the production – a premeditated and planned war against the “All the Tired Horses” project and the project’s producers and other investors by the China mafia. The mafia war commenced with threats, then extended to using contumelious false and misleading statements in claims by Benjamin China provided in affirmed affidavits accompanying an Originating Summons submitted ex-parte to the Western Australian Supreme Court on the 31st July 2009 (WASC CIV 2376 of 2009 CIV 2583 of 2009). Perhaps what is retrospectively viewed as knee-jerk considerations from the presiding judge Kenneth James Martin the flurry of court orders enforcing interlocutory injunctions on the bank accounts of the production companies that had been set up specifically for services to the project had wide-reaching ramifications; the fact that these orders extended to the producers personal accounts in Australia left all the producers with few choices to continue filming in Australia. To best possibly ensure completion of a film the producers were forced to explore options of completing “All the Tired Horses” outside of Australia. Simultaneously, the producers were required to defend the contumelious legal actions and false claims brought by the China mafia; the producers rights, the rights of other investors and the rights of production crew members have been of paramount importance to those committed and continuing forward to make a film. The defendants attended a trial held on the 16th March 2010, however the presiding judge Kenneth James Martin decided to adjourn proceedings to a later date; the decision to adjourn the trial was determined by judge Kenneth James Martin upon a last minute application to the court by the plaintiffs legal counsel… that ‘later date’ trial occurred on 5-6 December 2013. What happened in between these dates are events that are more than aptly fitting in the scenes of a mafia movie! Despite an Application made by the defendants to Dismiss the Action submitted to the court in November 2011 (it is appalling that this application is still yet to be heard by the court) and also multiple requests over the years to the court to dismiss the debilitating interlocutory injunctions on the defendants the presiding judge Kenneth James Martin has not yet decided to do either. More than six years on the legal action is still being defended; damages and costs to the production have increased over the years, strong relationships have been strained and tested, loss of earnings and great hardship has been felt and extended to many who are involved in producing the “All the Tired Horses” project. The costs involved and time expended in defending such an aggressive contumelious action are extremely expensive. The emotional stress caused by the China mafia, their associates and assigns on so many people associated with “All the Tired Horses” is immeasurable. Whilst principal photography initially commenced in August 2009 schedules had to be hastily re-worked; by the end of that year further filming had to be halted as the mafia attacks to the production and people associated with the project continued. The legal attacks on the project have a very negative effect on morale, impacting cast and crew members alike, spreading fear and uncertainty into the Western Australian film community; rumours, especially in the entertainment industry travelled fast and furiously across the country and around the world. Into 2010 and through the ensuing years the producers persevered with production meetings, further planning and re-structuring efforts; the legal action relentlessly continued negatively affecting the project and people’s lives. Efforts to make a film were grossly impeded. Many hours and great expense had to be directed towards defending the contumelious action brought against the project and producing parties to the detriment of the production and those dedicated to seeing the “All the Tired Horses” film made. Despite offers by the defendants to settle the action amicably the plaintiffs stubbornly refused and the threats and mafioso-style tactics and attacks continued. Police reports were filed and authorities alerted and provided with evidence of the mafia threats, attacks and collusion from associates of the China mafia in their efforts to prevent a film from being made; slander towards the producers and others associated with the Project continues up to the present. 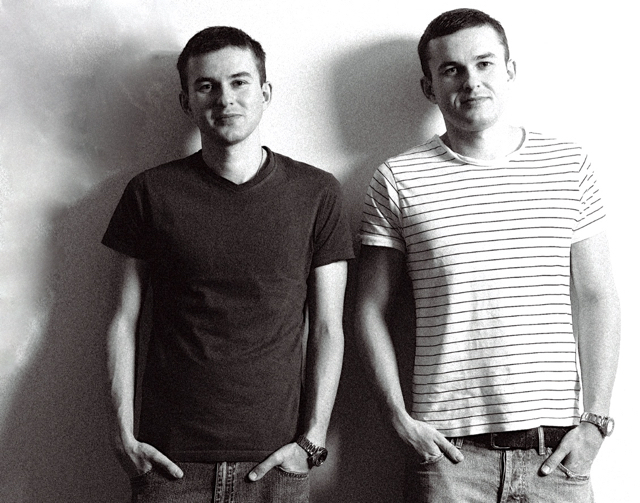 After initiating the legal action against the defendants, Paul China and Benjamin China began colluding to produce a separate film with Brian J. Breheny, a cinematographer who had been employed for the “All the Tired Horses” project to assist and educate Paul China in various aspects of film cameras, lenses and filmmaking processes during the preliminary stages in the project’s development. According to IMDb (Internet Movie Database) a film titled “Crawl” was officially released in Australia on 20 November 2013; Paul China received a credit as a writer and a credit as a director and his brother Benjamin China received a credit as a producer, the film’s cast contained a number of acting talents who had previously auditioned for roles in “All the Tired Horses“. The result is largely seen as a poorly envisaged plagiarised version of the original screenplay that the “All the Tired Horses” project is based upon. 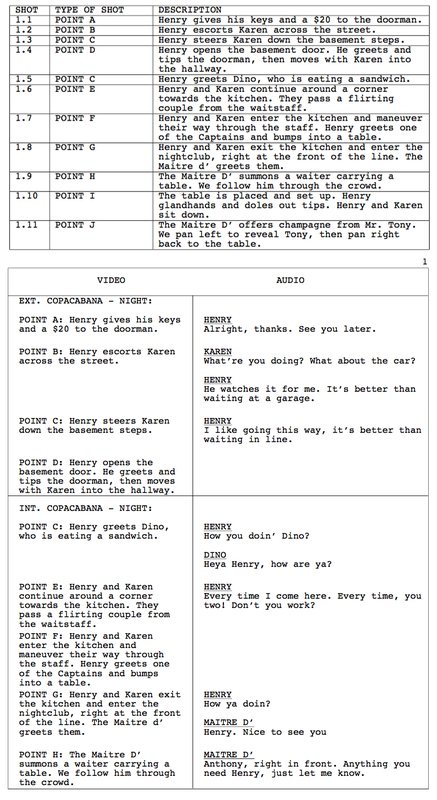 Crawl incorporates similar themes and plot lines to the original screenplay of “All the Tired Horses“. Perth actors, Georgina Haig (known for The Mule (2014), Road Kill (2010) and The Sapphires (2012)) and George Shevtsov (known for Dead Calm (1989), Japanese Story (2003)) had been tentatively short-listed for roles in “All the Tired Horses” during professional auditions conducted by Jenni Cohen Casting in late 2008, whilst talent for other roles were being sourced and considered by Faith Martin (highly respected and known for her work on the Australian television series Water Rats (1996) and iconic Australian films including Strictly Ballroom (1992), Satellite Boy (2012) and Cactus (2008) and many other classic Australian films). In 2012 the China mafia’s associates and assigns attempted but failed to force Tired Horses Films Holdings Pty Ltd into liquidation using Statutory Demands; the company was established to receive a portion of the film’s investment capital that had been invested by China Brothers Productions Pty Ltd for the purposes of making “All the Tired Horses“. An investor into “All the Tired Horses” and a business associate of Shaun China were found to be behind the orchestrated attacks on the project using a number of people and companies connected to Crawl Productions Pty Ltd, a company set up by the China Brothers and associates to produce “Crawl”. A number of the documents presented to support the Statutory Demands by Property About Pty Ltd (a company controlled by associates of Shaun China) in an attempt to wind up Tired Horses Films Holdings Pty Ltd were found to be fraudulent; various parties associated with the attempt had been offered bribes in exchange for their endorsement of certain documents; the Supreme Court of Western Australia dismissed the demands in separate actions (WASC COR 122 of 2012 , COR 123 of 2012, COR 124 of 2012). On the 15th October 2012 the plaintiffs retained a new law firm supposedly with the idea of bringing in “bigger louder guns” who sought to re-work the plaintiffs false and misleading claims with new twists of deceit. The China mafia’s newly contracted law firm convinced the judge to hive off a section of the claims; thus creating a ‘sub-trial’ or “Trial of Separate Determination” designed at testing the notion that what were legally invested funds in exchange for company shares made in accordance with ASIC and the Corporations Act 2001 were supposedly monies provided on principles of a Quistclose trust – this was a feeble and ill-conceived notion arising from the very concoction of the plaintiffs initial lies and misleading claims. The legal tactic was probably more likely devised and submitted to the court by the new law firm’s principals in the hopes that the defendants would be forced into bankruptcy long before a trial actually came into being? For the remainder of 2012 and most of 2013 attention focused on bringing the legal action to trial for a date determined by judge Kenneth James Martin to take place in December 2013. The setting of the trial date could possibly have been proposed and suggested to the court by the plaintiffs lawyers? The presiding judge Kenneth James Martin may have been swayed to set such a date having been provided with information that falsely implied that an end date was approaching? This could then be construed in cross arguments during the trial by the plaintiffs counsel to declare the “All the Tired Horses” project could not continue past 31st December 2013? The plaintiffs lawyers had not read the terms of the “All the Tired Horses” Production Agreement or if they had, they had conveniently chosen to attempt to twist the wording of the agreement to suit their own unscrupulous legal aims. References during the trial to Monty Python‘s Dead Parrot Sketch from Monty Python’s Flying Circus were in very poor taste and jocularly bantered around by and between the presiding judge Kenneth James Martin and the China mafia’s legal counsel, liberally thrown around to suggest the “All the Tired Horses” project was dead. Such courtroom antics simply demonstrated how mired and burdened the Australian courts and presiding judges have become in the nepotistic mentality that pervades in the courtroom; sad and blatantly indignant behaviour demonstrating that the courtrooms in Australia have become squawking forums at the mercy of unscrupulous lawyers and legal counsel parroting phrases in garbled gobbledygook manipulating case actions seemingly on whims and whimpering whispers, whilst rocking back and forth on elevated perches in polished black shoes and silky weathered robes… Birds of a feather flocking together, making a mockery of the silks… do they even know why they wear such costumes? Or have they been influenced by those courtroom drama movies or productions such as the Silk (TV series) and forgotten what the terms due process, morality, ethics and justice actually mean? Photography on “All the Tired Horses” recommenced in 2013 only to be halted again by further damage brought by the plaintiffs in their frequently amended claims peppered with lies, false and misleading statements. The obvious manipulation of the Australian court system with their shlock lawyers forcing the continuance of legal action adds to the prejudices experienced by the defendants in the action. Due process has seemingly dissipated; as the years have passed each date set for a court hearing has stretched further and further apart, whilst the presiding judge grapples with his original orders in the face of ever mounting inconsistencies in the revisions of the plaintiffs further and further and further amended Statements of Claims and in contrast to the evidence provided by the defendants. Simply reiterated for clarity here, the plaintiffs claims were deviously trumped up in an attempt to prevent the “All the Tired Horses” film being made after the China Brothers departed from the production in a huff. In December 2013 the producers of “All the Tired Horses” issued Default Notices to Paul China, Benjamin China and China Brothers Productions Pty Ltd. One might reflect here and suggest perhaps that the default notices could have been issued earlier? Suffice is to say that there was a glimmer of hope and going on advice provided to the defendants by their legal advisers it was plausible that the China mafia’s stubbornness and arrogance might waver to the better side of reason and hence that the legal action would be resolved out of court. Unfortunately, dealing with such mafia figures and their aggression has become part of the producing process in respect to “All the Tired Horses” and all who are committed and dedicated to seeing a film made. Despite certain deliberation and obviously wrong assumptions made by the presiding judge Kenneth James Martin on 7th February 2014 the court published a decision from the “Trial of Separate Determination” held on 5-6th December 2013; ultimately the judgement handed down was made in favour of the defendants. However, in addition to the trial decision was advice provided by judge Kenneth James Martin and a request that James With was to provide an Undertaking to the court not to incur further expenses or debts on behalf of Tired Horses Films Holdings Pty Ltd from 7th February 2014 onwards and until any application that might be submitted by the plaintiffs to wind up the company. Such advice handed down by judge Kenneth James Martin provided the plaintiffs with yet another angle in which to continue their contumelious attacks on the “All the Tired Horses” project and the producers. It is viewed as quite extraordinary in the course of this contumelious legal attack on the producers and the “All the Tired Horses” project that a presiding judge of the Western Australian Supreme Court would see it as due process and without prejudice to suggest such a “legal option” to the plaintiffs when handing down a trial decision of the court. The China mafia took the suggestion and their appointed law firm ran with it… a flurry of materials were submitted to the court as the judge had set a hearing date for such an application on 21st March 2014. On 19th March 2014, just two days before the hearing to wind up the company, the defendants were asked to attend an urgent meeting with appointed counsel; once in attendance James With was confronted and given an ultimatum by the defendants appointed legal counsel. The legal counsel had been retained by the defendants and employed to assist and defend against the plaintiffs application to wind up the company; contrary to this, the opposite was being forced on the defendants! Unconscionably James With was forced at the meeting with the defendants counsel to provide instructions to allow the winding up of Tired Horses Films Holdings Pty Ltd. Statements considered as direct threats to the defendants and the “All the Tired Horses” project were made by the defendants counsel to the effect that if instructions were not provided to allow Tired Horses Films Holdings Pty Ltd to be wound up by orders from the court and a liquidator appointed by the court then they would not be in a position to represent the defendants. Additionally, one of the defendants counsel has previously stated that they had known and been colleagues with Kenneth James Martin before he was appointed a judge of the Western Australian Supreme Court. It seems quite apparent that the Australian courts are weighed down by the huge number of cases and the cost of conducting litigation has become in itself a burden on parties; obvious pressures are being placed on judges, lawyers and those in the legal system to ‘toe the line’ and to resolve cases that have become bogged down by contumelious legal wrangling. One might deduce that in this case due process is being crushed by a stampede of squawking legal parrots? Roughshod shoes are missing in the courtroom and the treacherous trail to trial has become ever more slippery and cumbersome. On the 21st March 2014 judge Kenneth James Martin provided a decision that ordered Tired Horses Films Holdings Pty Ltd to be wound up under the supervision of a court appointed liquidator, Mr. Giovanni Maurizio Carrello working with BRI Ferrier, an independent national firm that helps organisations manage financial challenges through the provision of insolvency, business advisory and forensic services. The Western Australian Supreme Court orders placing Tired Horses Films Holdings Pty Ltd into liquidation made after the winding-up application submitted to the court adding to the complicit actions of the China mafia and their appointed contumelious lawyers has effectively robbed the “All the Tired Horses” project of approximately One Million Australian Dollars; those invested funds had been properly and legally invested into Tired Horses Films Holdings Pty Ltd for the purpose of making “All the Tired Horses“. The court appointed liquidator is tasked with assessing creditors claims and proofs of debts; under ASIC and the Corporations Act 2001 rules and regulations the company’s employees, creditors (crew members who have worked on the project and others) associated with “All the Tired Horses” are entitled to funds ahead of shareholders. Of course, it would be the case that the liquidator and the court gets paid ahead of creditors. Rhetorical question: Does this kinda feel like the court system is serving its own interests ahead of ASIC and the Corporations Act 2001 regulations that govern companies in Australia? The Project and the producers continue to be subjected to further abuse from the plaintiffs, associates and assigns. The next hearing is set for 12th February 2015 and hopefully the court action is soon to be concluded; the producers are optimistically scheduling a release date for a feature length film of “All the Tired Horses” based on this legal action being resolved. In these troubled times of geopolitics and on the anniversary of the attack on Pearl Harbor by the Empire of Japan on Sunday, December 7, 1941 which brought the United States into World War II we publish this summary account of the trials and tribulations in making “All the Tired Horses” – a Morality Driven Drama. The producers wish to thank you for your interest in this project. There’s a page on Facebook that the words “All the Tired Horses” links to and you might like to review this for more details on the project: https://www.facebook.com/AllTheTiredHorses. We trust you enjoy the updates on the project’s Facebook page and eventually we hope you get to experience the film that we are dedicated to completing as soon as possible.